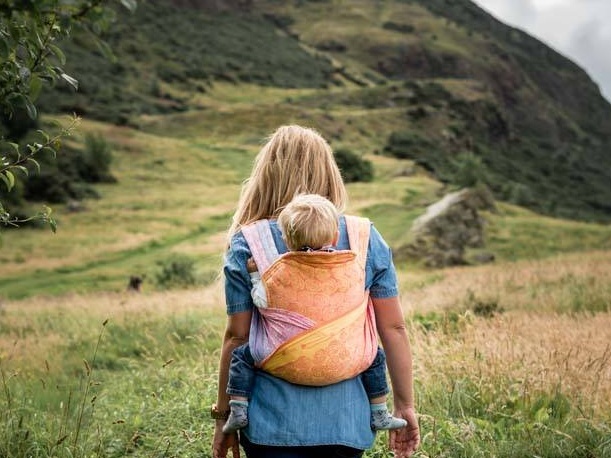 When Jenny Silverstone got in touch with us from the popular parenting blog Moms Loves Best, we were very excited to hear her thoughts on babywearing. 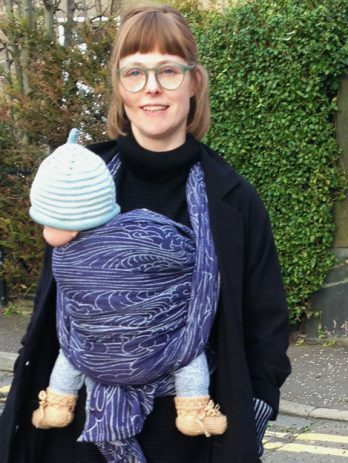 As a mother of two Jenny is a huge advocate of babywearing and of the benefits and convenience it offers both to parents and their babies. Read on to hear her thoughts on some common babywearing struggles and her suggestions for overcoming them. 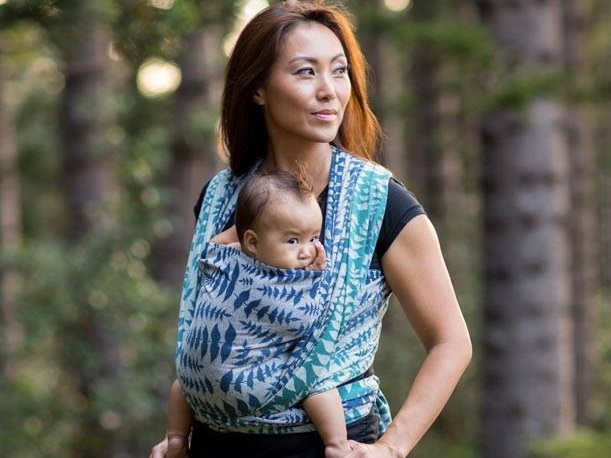 Babywearing can look like the most natural thing in the world, but when you first try it, you might be thinking other moms must be sorceresses to be doing it. Don’t worry – babywearing can be enough to freak out any mom when they first attempt it. It’s a learned art form, and we’re here to help. Let’s go over some common struggles we’ve all faced when we first attempted babywearing, knowing that everyone started from the same point should help you as you begin your babywearing journey. One of the hardest things about babywearing is cracking the code when it comes to the different ways to wrap your baby. If you have a younger baby and you’re feeling overwhelmed by the prospect of a baby wrap, you might want to start with a ring sling. Ring slings are easy to figure out so they’re a great introduction to babywearing. 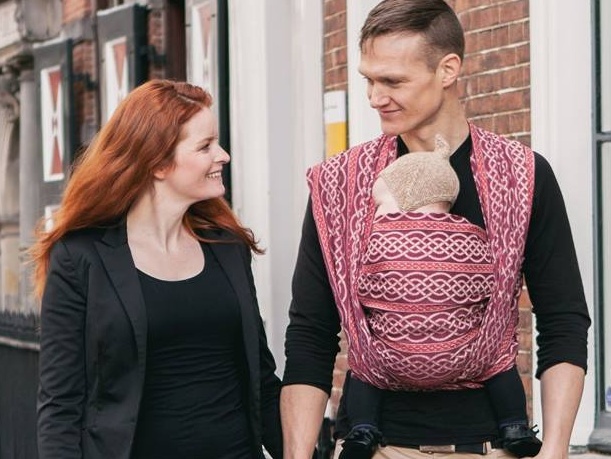 Plus, it’s one of the fastest methods of babywearing, so if time is an issue or if you’re going to wear your baby frequently throughout the day, it’s a good pick. If you go for a wrap, you will want to start with the instructions included in the package. Oscha suggest starting with a Front Wrap Cross Carry, as this will allow you to learn some of the fundamental skills of wrapping. If you are still finding it tricky, try visiting Oscha’s Youtube channel for some tutorials. Give yourself some time and if you’re having trouble and want a one-on-one tutorial, check with other moms you know or find a sling library or consultant near you to get some hands-on advice. You really need to consider your baby’s age when deciding upon the fabric and the carrier you want. Sometimes moms assume all wraps will hold a child through their toddler years and that isn’t true. 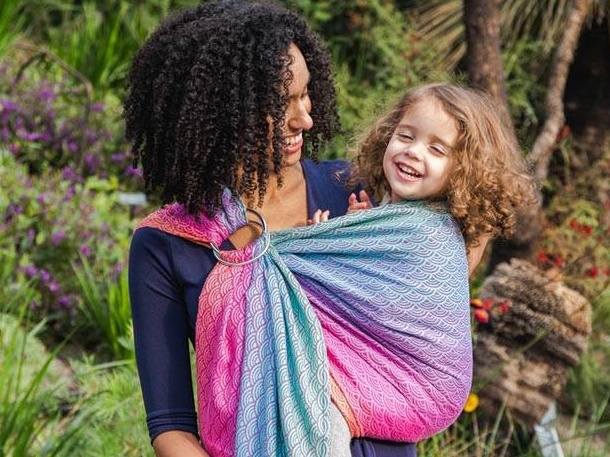 Stretchy wraps are only really suitable up to 6 months old, this is why a woven wrap is a great choice as they can be used from newborn right through to toddlerhood and beyond. As your little one grows you may find you want a longer sling which you can spread over your little one multiple times to offer more support. If you want something that is a little more structured, you can go with a soft-structured carrier. These are very easy to put on and are perfect from newborn through to toddlerhood. For some brands you’ll need a special insert for use with an infant, but Oscha’s carriers come with everything you need from newborn to 2 ½ years. 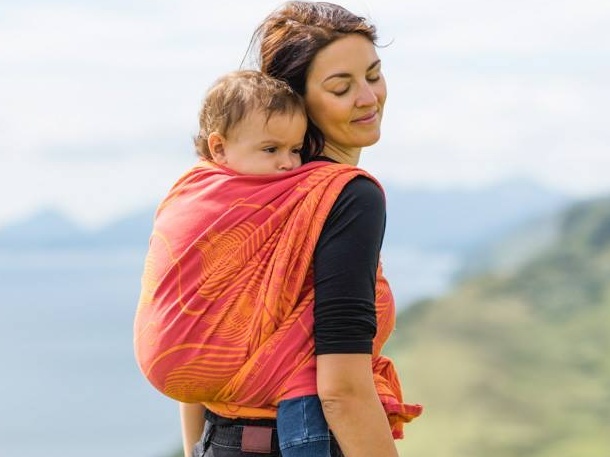 If you’re considering using a carrier it is important to consider proper positioning, this is something that can be a struggle for new moms or those new to babywearing. When you wrap your baby, you want to make sure their hips are properly positioned to avoid hip dysplasia. You don’t want your baby’s legs dangling. You want to position the carrier or wrap so your baby’s knees are up above their bottom, the sling should support the legs as well as the bottom to ensure proper positioning – this is commonly called the ‘M’ position. >Learn more about positioning here. Another thing parents worry about is whether their baby can breathe in the wrap or carrier. Just like any baby product, if you follow the rules of babywearing and make safety a priority, baby carriers are perfectly safe for your baby. Just remember to keep your baby up-right in the sling, check their face is clear of any fabric, that their chin is not on their chest and that they are close enough to kiss – if you keep these things in mind the rest will follow. ? >Read a little more about carrying safely. For wraps and ring slings, you’ll have to choose the fabric – they don’t come in one option like many structured carriers do. You will find woven wraps and ring slings made out of many different fabrics, including linen, wool, and cotton. A common complaint from moms is that their carrier makes their baby too hot or too cold. If you have warm summers you might want a light one that’s breathable enough for use in the heat, but if you have colder winters you may prefer a thicker more snuggly one that provides a little more warmth. For more temperate climates choosing something medium weight and breathable, such as 100% organic cotton or a organic cotton & linen blend will be comfy for you both all year round. 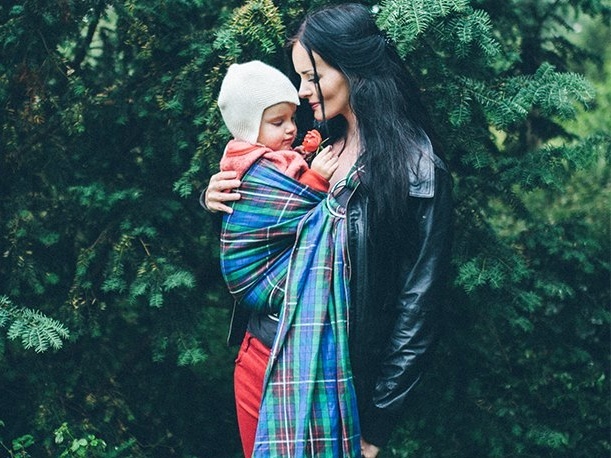 Babywearing may not come naturally, but you’ll find that if you familiarize yourself with some of the common problems every wrapping moms face at the start, then you’ll feel much more confident about your ability to babywear. Sometimes, education and practice is all you need to help you tackle a problem, and being a parent is full of moments like this. You’ll constantly be learning. You’ve got this, mama! Jenny Silverstone is the mother of two, an editor for the popular parenting blog Mom Loves Best, and a huge advocate of babywearing because of the benefits and convenience it offers for both parents and their babies.